Tallahassee, Fla. – Today, Governor Ron DeSantis announced his commitment to the Gardiner Scholarship Program included in his Bold Vision for a Brighter Future budget. The education portion of Governor DeSantis’ proposed budget includes a nearly $19 million investment to fund the waitlist for Gardiner Scholarships which would cover nearly 2,000 students with special needs. Governor DeSantis highlighted his request at the North Florida School of Special Education in Jacksonville where he was joined by First Lady Casey DeSantis, Florida Department of Education Commissioner Richard Corcoran and State Representatives Cord Byrd and Jason Fischer. 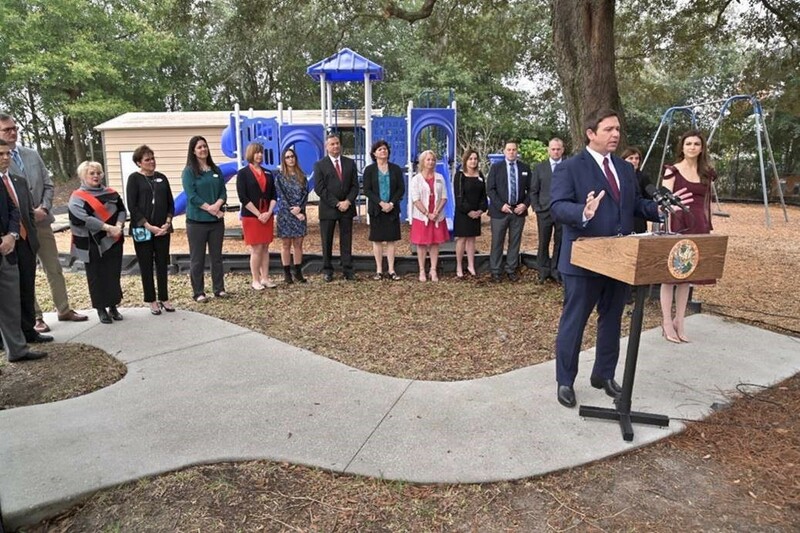 Governor DeSantis elaborated on his proposal later in the afternoon at Pace Brantley School in Longwood where he was joined by the First Lady, Commissioner Corcoran, State Representative David Smith and former Florida Senate President and namesake of the Gardiner Scholarship Program Andy Gardiner. During both stops, parents of students currently on the waitlist spoke about the importance of this proposed funding.